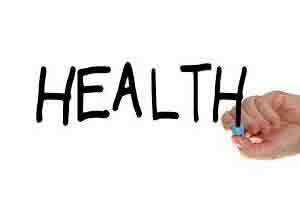 NEW DELHI: Pitching for “assured health services to all”, the Health Ministry has prepared a note on the draft National Health Policy which is expected to be taken up by the Cabinet next month. “The cabinet note has been prepared. It is with the Health Minister. As soon as it is signed, it will be sent to the Union Cabinet,” a senior Health Ministry official told PTI. He said the Cabinet note does not talk about making health a “fundamental right” as it will have “legal consequences” but talks about assured health services. “We have not used the term – fundamental right. We are offering assured health services. We will move in the direction of providing assured services as an entitlement and not really as a fundamental right. Fundamental right has legal consequences,” the official said. The ministry is also learnt have held several rounds of deliberations with various stakeholders, including various government departments and states. The official said the draft National Health Policy had earlier stated that health will be a fundamental right but in the present note, the government has proposed “assured services” as entitlement. Under the draft National Health Policy, 2015, it was proposed that the Centre will enact a National Health Rights Act, which will ensure health as a fundamental right and whose denial will be “justiciable”. “States would voluntarily opt to adopt this by a Assembly resolution. States which have achieved a per capita public health expenditure rate of over Rs 3,800 should be in a position to deliver on this. “Such a policy formulation or resolution, we feel, would be the right signal to give a push for more public health expenditure as well as for the recognition of health as a basic human right and its realisation as goal that the nation must set itself,” the draft policy had earlier stated.